You know that we’re your source for fine horse jewelry, but did you know that we also carry some great jewelry for dog lovers? It’s true. Over the years, our purely unscientific research has revealed to us that very often horse people are dog people as well. This week, we’d like to take a look at some of the great gold dog charms in our collection. Charm jewelry continues to be one of the strongest fashion trends. The gold dog charms we’re showcasing today are perfect for adding to your traditional charm bracelet. 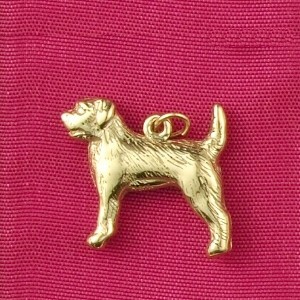 Made of fine 14K gold, this Border Terrier Dog Charm is one of the cutest in the collection. It’s so easy to picture the real-life version of this little guy tagging along through the barn and pasture, perpetually curious and eager to help out! The charm is 3/4″ X 3/4″, ideal for the typical charm bracelet. Exquisitely detailed and finely wrought, this is one charm guaranteed to draw admiring comments. 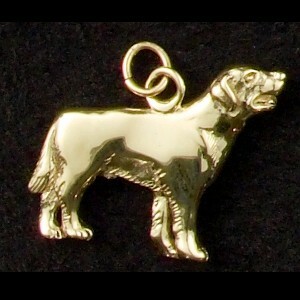 Lab lovers will adore this 14K Gold Labrador Retriever Dog Charm. Whether you have a Golden Lab, Chocolate Lab, or Black Lab, you’ll be sure to recognize some of your canine companion’s good-hearted enthusiasm in this charm. What we love about this gold dog charm is how happy the dog looks: the artistry in the lab’s face is amazingly expressive. An inch wide by 3/4″ tall, this gold dog charm is perfectly sized for your charm bracelet. Makes a great gift, too! Hold onto your hearts! 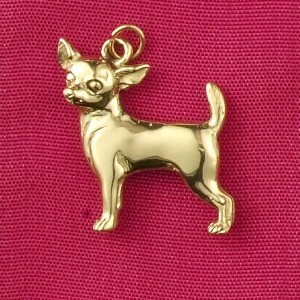 The 14K Gold Chihuahua Charm is so adorable we can barely stand it. These tiny dogs pack a lot of personality, and this charm captures their essence beautifully. 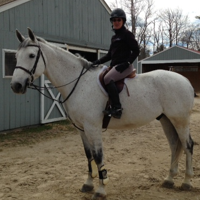 We love the wide open eyes, the finely detailed ears, and the perky upright tail. 1/2″ by 3/4″, great for a charm bracelet or petite pendant. Everyone who sees this charm loves it – one of our customers’ favorites!